If there’s one thing you will have learned already when it comes to running a business, it’s that people like free stuff. Asking a question in a post and telling people that whoever responds with the best answer will win a free product is a great way to get people talking. Your followers will keep adding answers to the post in hopes of getting something for free. No one is interested in a business that isn’t in tune with their own customer base. If you’re going to use a microblog (or several) you need to make sure to keep people up to date with what your business is doing. Make sure to update your microblog every day – it will give people a reason to come back. It might not be the most creative way to get attention but it’s certainly one of the most effective. Advertisements will always attract attention and microblogs such as Twitter or Tumblr allow you to run ads that are custom fit for your budget. You would be surprised at how easy it is to talk to celebrities on microblogs. Just about every celebrity has a Twitter account these days and contacting them isn’t an impossible task. Asking for a retweet from a famous person with a lot of followers could go a very long way when it comes to promoting your business. If you can ask the right person the right way, you’ll find that this is very achievable. 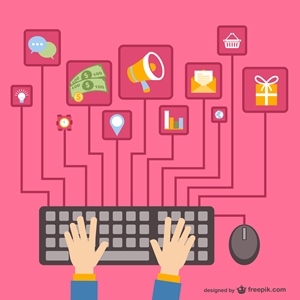 Thanks to microblogs and social media you can now be connected to your customers more than ever. Don’t be afraid to ask them for suggestions on how you can improve your business. This will get a lot of people involved and will also build loyalty and trust between you and your followers. If you can’t think of anything to post about, don’t be afraid to post some news. Current events will always get people talking so don’t be afraid to get involved.